The lemon ice cream is actually a very easy No Churn Lemon Ice Cream. 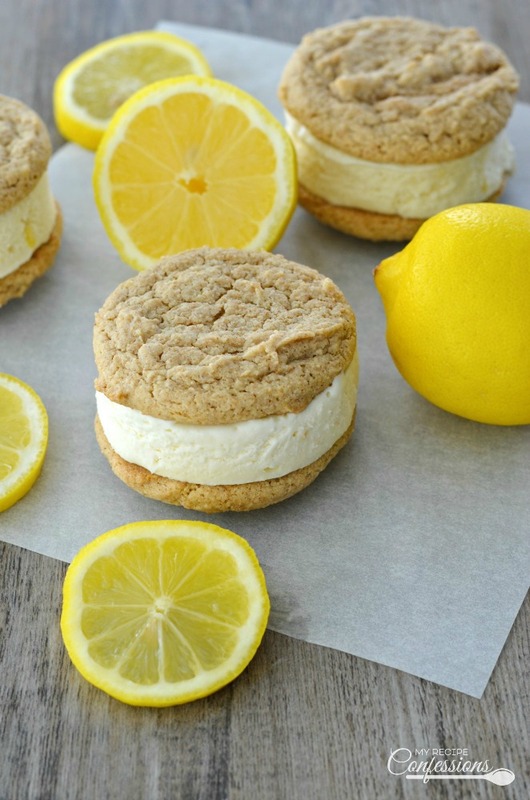 In fact, this recipe doesn’t even require an ice cream maker. I love that this ice cream only needs to freeze for four to six hours. 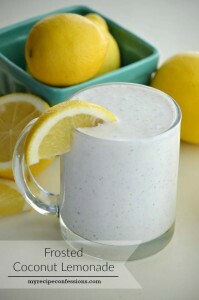 You can mix up the ice cream in the morning as soon as the kids go to school. 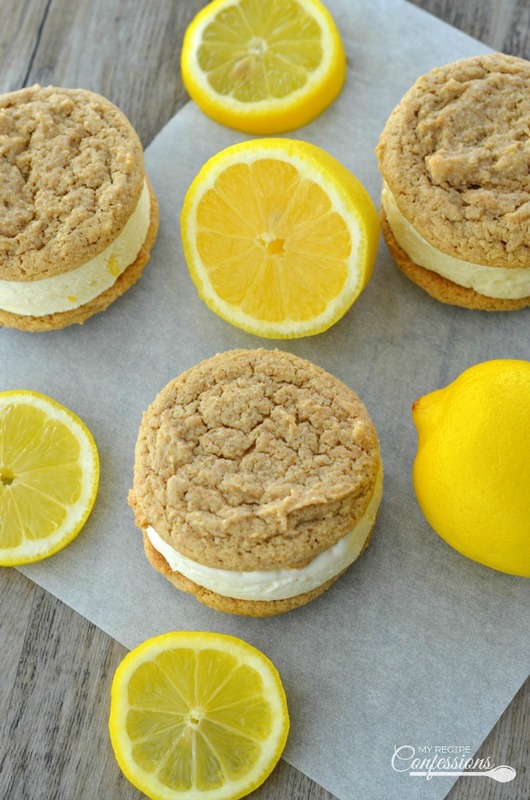 Bake the cookies while the ice cream freezes and have your Lemon Cheesecake Ice Cream Sandwiches assembled and ready to eat before the kids even get home from school. 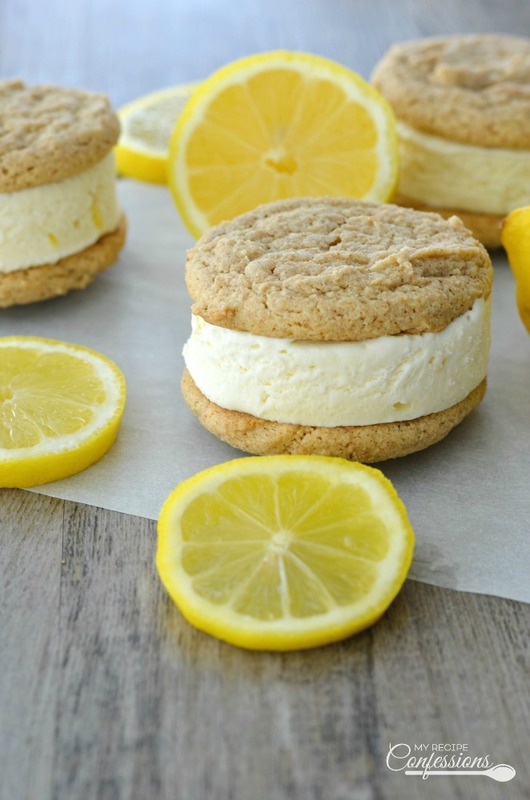 Just imagine the big smiles on your kids faces when they find that their after school snack is a homemade Lemon Cheesecake Ice Cream Sandwich. Cream the butter and sugars together. Add the eggs, sour cream, honey, cinnamon, and vanilla and mix well. 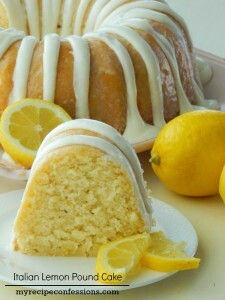 In a separate bowl, whisk all of the remaining dry ingredients together. Add the dry ingredients to the wet ingredients and mix until it is well combined. Roll 1 tbsp. cookie dough into a ball and place it on an ungreased baking sheet. Repeat this process with the remaining dough. Place the baking sheets with the cookie dough balls in the refrigerator for 30 minutes. Bake the cookies for 12 to 13 minutes or until the cookies are golden brown. Let cool completely. 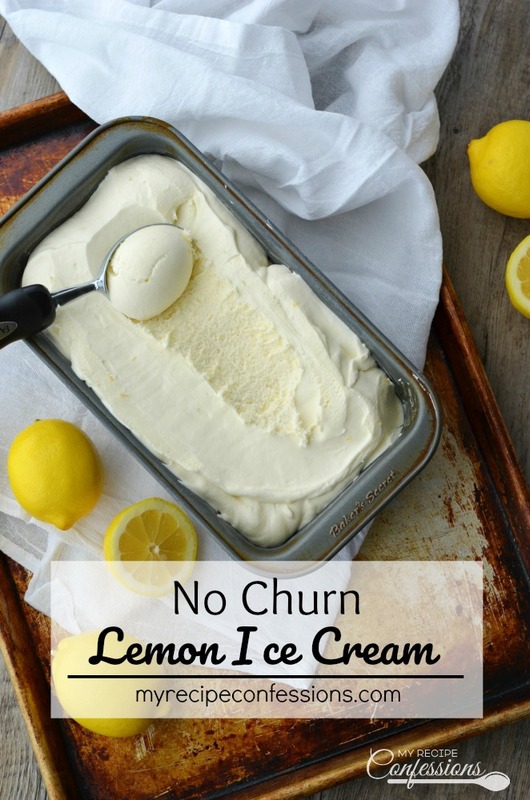 Follow steps 1 through 3 of the No Churn Lemon Ice Cream recipe. Line a 9×13 pan with plastic wrap. Spread the ice cream evenly into the 9×13 pan. Cover the top of the ice cream with more plastic wrap and freeze until solid, about 4 to 6 hours, or until firm. Using a circle cookie cutter (mine is 2 1/2 inches), cut out a disc of ice cream. 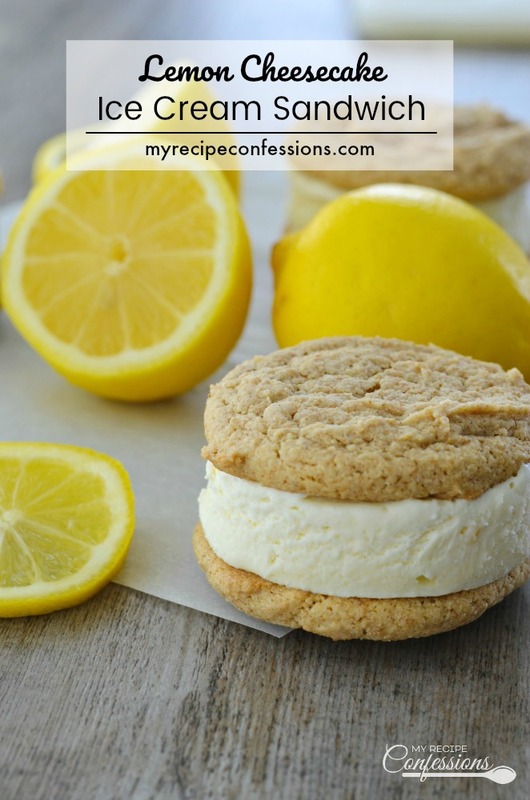 Place the ice cream disc on an upside down cookie and gently press another cookie on top. Repeat with the remaining ice cream and cookies. Wrap the cookies in plastic wrap and store in the freezer until ready to serve. Here are a few other delicious treats you should try.